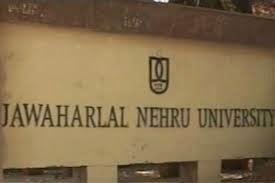 New Delhi, Feb 11 : A 210-room hostel for North East students will be constructed in Jawaharlal Nehru University (JNU) here, Union Minister Jitendra Singh said on Monday. Singh, Minister of State for Ministry of Development of North Eastern Region (DoNER), said he had issued instructions to the officials in the Ministry to set up a website where all the grievances of the people from the North East could be received and appropriately responded to. The officers in DoNER Ministry have been directed to hold regular interactions with youth and student representatives living in the national capital. "A nodal officer in the DoNER Ministry is proposed to be designated for receiving the calls and inputs from the North East origin people living in Delhi," a statement issued by the Minister's office quoted him as saying. The hostel in JNU is to be built at an estimated cost of Rs 32.44 crore, which will be a four storey structure with total constructed area of about 12,000 sqm. "The hostel will have an accommodation of 210 living rooms catering to almost double the number of students, in addition to a dining hall for approximately 270 students, four Warden flats and two common rooms," it said. There will also be provision for balcony with living room, pantry, open space between the rooms and a parking lot, the release said. Singh was also given a brief technical presentation on the plan and outlay by the engineers and architects of RITES, a Railway Ministry PSU. "This will go a long way in enabling the bright youngsters from the region to come closer to the mainstream life of the country. One more site for a similar hostel has also been identified in the premises of Ramanujan College," he said. Singh visited the JNU campus today to inspect the site proposed for the purpose. He said the number of students from the eight North Eastern states is constantly on the rise and the Ministry of DoNER has taken upon itself the responsibility to encourage and promote their growth in the union capital as well as in other parts of the country. Once this initiative in the capital is successfully accomplished, similar projects will be taken up in other major cities including Bengaluru, Pune and Ahmedabad, the minister said.